We have found this useful table to show you which implant is compatible with which processor – this is your potential pathway to upgrading! Rachel Chaikof published a very interesting article about the release of new speech processors of all Cochlear Implant manufacturers in the very near future in her weblog “Cochlear Implant Online” and discusses arguments why to wait or not to wait. One was the 20-year anniversary of the ENT department at the Erebouni Medical Centre. 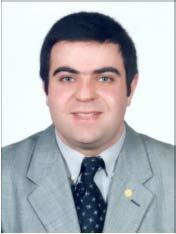 Born in 1975 in Yerevan, Armenia.